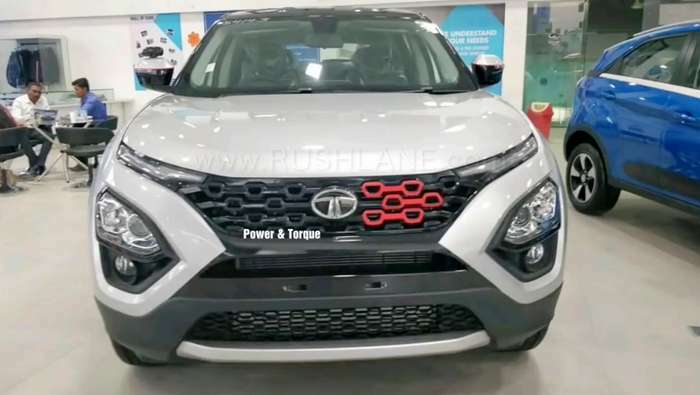 Tata Harrier dealer level mods pricing starts from Rs 25,000, over the price of the car. Images credit to Power & Torque on Youtube. 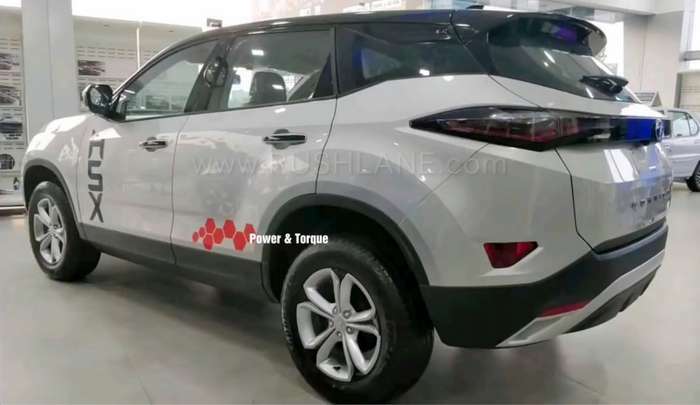 Tata Harrier sales are growing every month. As the company increases production gradually, more and more buyers are able to take delivery of the Harrier. Last month, almost 2,500 units of Harrier were sold by the company. This was the highest monthly sales achieved by Harrier till date. 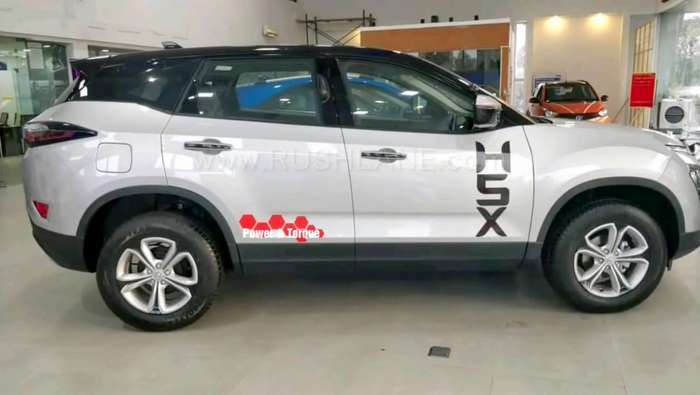 And in doing so, it has managed to beat monthly sales figures of rivals Mahindra XUV500 and Jeep Compass. With Harrier being sold with mono tone colour options, many buyers have already modified their car to dual tone finish. Some have even installed new larger alloys with lower profile rubber. Helping buyers modify their cars are aftermarket stores, as well as authorized Tata dealers. 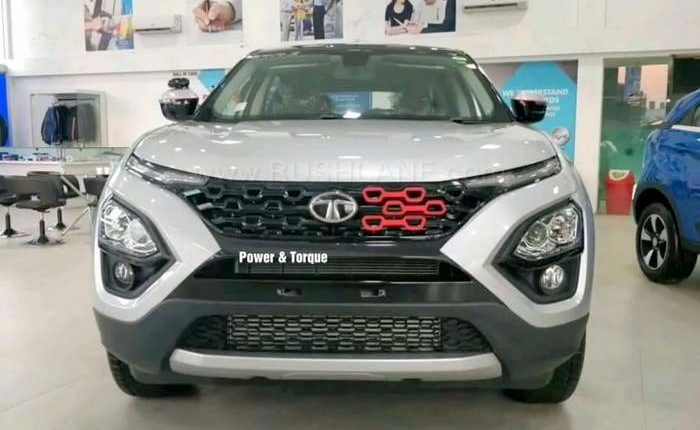 Many Tata dealers are offering modified Harrier to their customers. The most common mod-job available at dealer, is a dual tone paint finish. Some dealers are also offering exclusive editions, like the dealer below, who has displayed Harrier Kraz edition at the showroom. Prices of mod-job starts from Rs 25k. 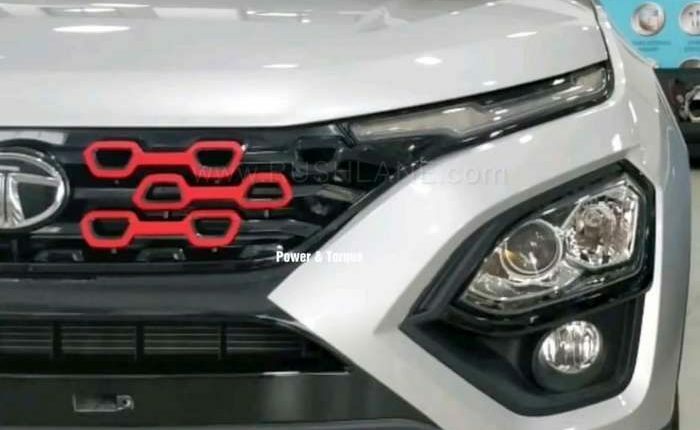 As the name suggests, Tata Harrier Kraz edition is inspired a bit from the Nexon Kraz edition, which was launched last year. The Harrier Kraz seen here is a dealer level mod, and is not a company offered option. It comes with silver body paint with black roof. Dual tone alloys, Kraz accent on the front grille in contrast red, red decals on the side, H5X badge on the site, etc. Interiors remain same. As of now, Harrier is only offered with diesel engine mated to a manual transmission. But, Future might be even better, as Harrier is slated to get automatic variant by mid-2019. 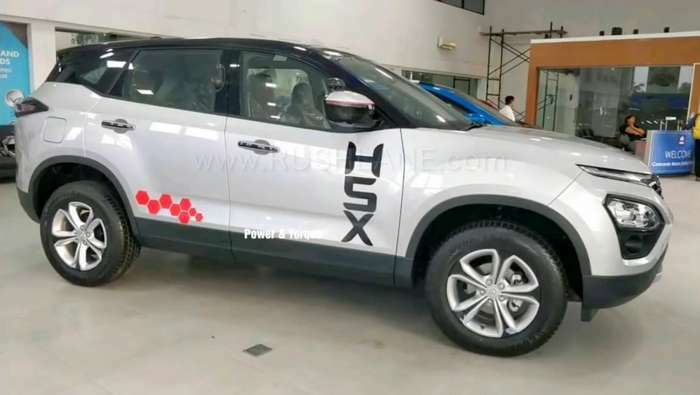 Not having automatic transmission and 4×4 drive were amongst the key concerns that potential customers had about Harrier. With launch of automatic variant, customers can look forward to an effortless driving experience. 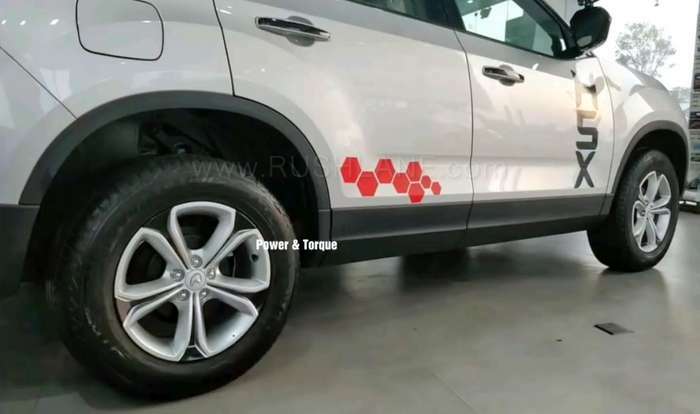 Automatic variant will also help Harrier to compete in a better way with Mahindra XUV500 and Jeep Compass, which already have automatic variants. 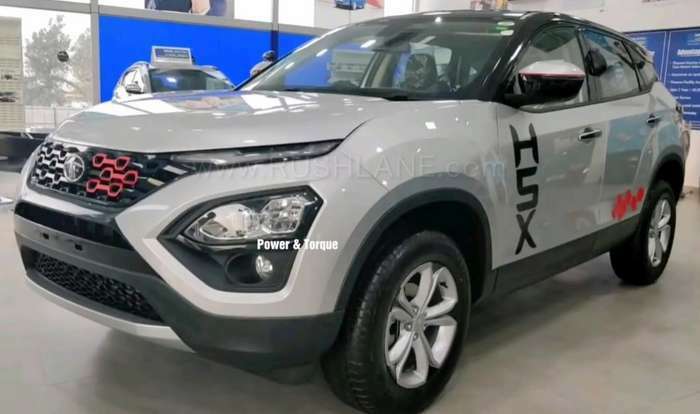 Guenter Butschek, Chief Executive Officer & Managing Director of Tata Motors has said that 7-seater Harrier variant will also be launched in 2019. 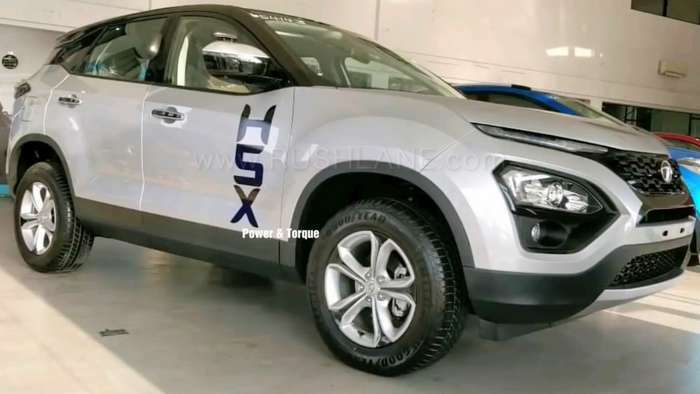 Automatic transmission for Harrier will be Hyundai-sourced 6-speed torque converter unit. 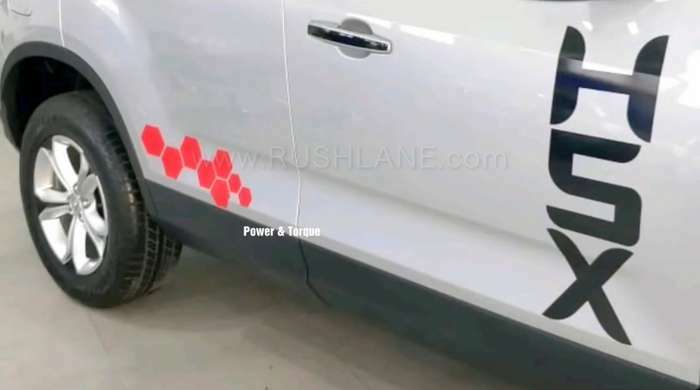 As revealed in spy shots, it can be seen below the drive mode selector. Harrier is powered by a 2.0-litre Kryotec diesel engine that delivers 140 PS power and 350 Nm torque. Engine is mated to a 6-speed manual transmission. 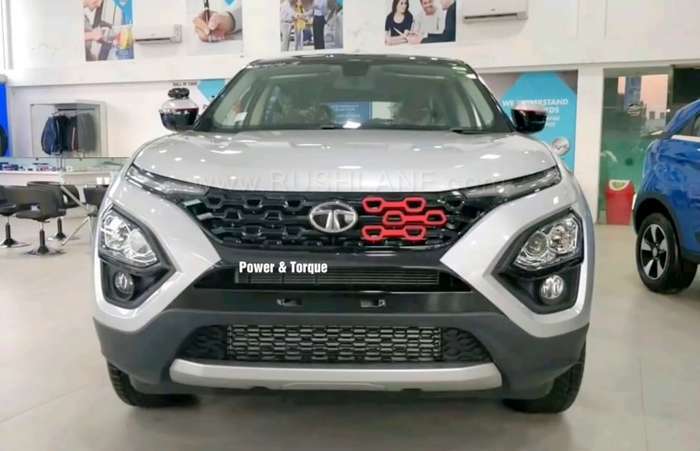 Watch video walkaround of Tata Harrier Kraz – Power & Torque.